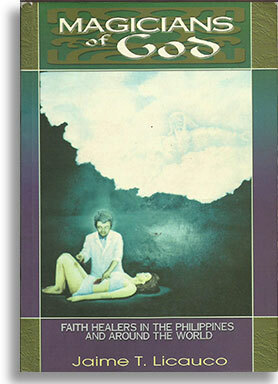 Published by National Bookstore (1978), Revised in 2008 and Published by Anvil Publishing. 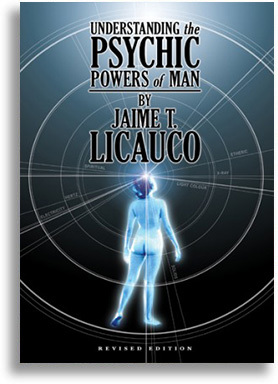 A product of Jaime Licauco’s knowledge about psychic and paranormal matters – a summary of the most significant lessons he had learned from years of reading and research, as well as true-to-life experiences of people who shared their psychic stories with him. It is the first book of its kind written by a Filipino author and has become a classic in the field since it first came out in commercial book form in 1978. 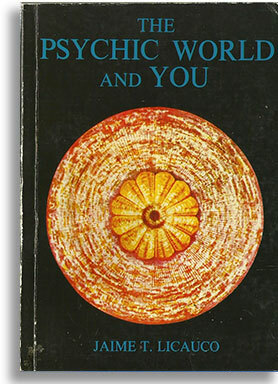 Although the flavor of the original edition was retained, the new edition contains a great deal of new theories and findings on neuroscience and parapsychology. 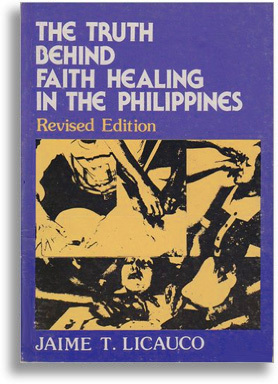 Revised and combined with Truth Behind Faith Healing in the Philippines into one volume, Published by Anvil Publishing (1999). Because it defies currently accepted laws of physics, chemistry and scientific logic, psychic surgery must involve some kind of magic. One cannot go about opening up the skin with his bare had, taking out tissues from inside the body, spilling blood all over and then closing the wound with hardly a trace of the operation of getting the patient healed in the process. Such things just cannot happen! Yet they obviously do! 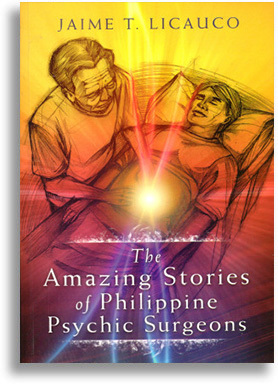 This book tells the incredible stories of some of these wonder healers who have astounded the world. 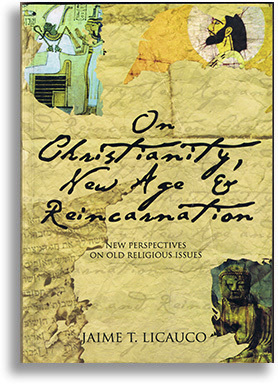 Revised and Expanded in 1999, Published by De La Salle University Press (1982). 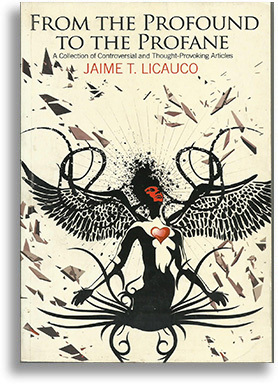 This book by Jaime Licauco is crucially important as an answer to these one-sided and short-sighted writings about our occult world. He speaks with understanding, sensitivity and expertness. He claims no infallibility, and he does not force you to believe what he says. All he does is present what he thinks with all his heart is the truth; and you can go on from there. There is no doubt that your going on will be a delightfully rewarding one. 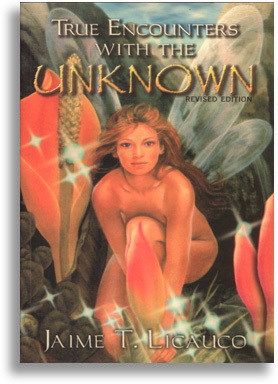 Revised and Expanded in 2000, Published by Anvil Publishing (1986). 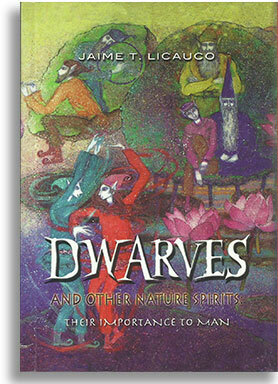 An intriguing book about the esoteric culture of the Philippines and other countries. 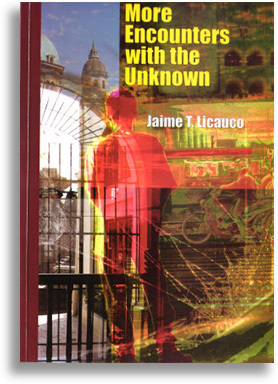 Licauco, one of the country’s authorities on psychic phenomena, will take you on a journey to meet psychic and unusual people, visit mystic places, discover more strange events and read messages from extraterrestrials. Published by Solar Publishing (1987). 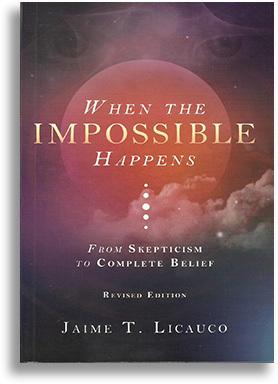 Published by De La Salle University Press (1999). 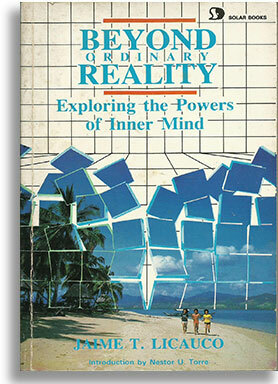 Published by Inner Mind Development Institute (1992), Revised in 2005 and Published by Anvil Publishing (2005). This book will teach you proven methods in healing, solving problems and improving skills through visualization and will help you use your intuition in Business & Investing and in daily life. 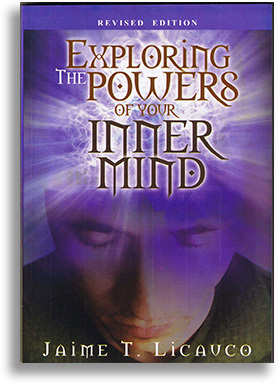 Exploring the Powers of Your Inner Mind is a book for anyone who wants to make better and more effective use of his/her awesome but largely untapped mental faculties. Published by Anvil Publishing (1996). 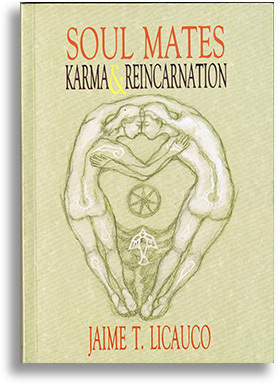 Jaime T. Licauco, the country’s foremost authority on mind development, paranormal phenomena, and Philippine mysticism, provides the reader with an in-depth explanation of the existence of soul mates, of universal justice, and of multiple rebirths. Published by Anvil Publishing (1997). 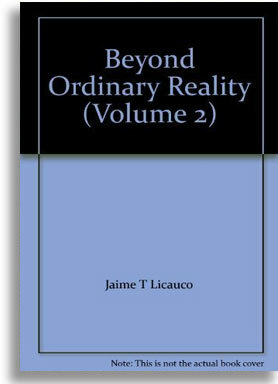 In this fascinating volume on his continuing personal encounters with paranormal phenomenon, mystical events and individuals with unusual powers, author Jaime T. Licauco takes you to a mind-boggling journey into the realms of the unknown. Published by Anvil Publishing (1999). Published by Anvil Publishing (2004). Published by Rex Publishing, Inc., (2005). 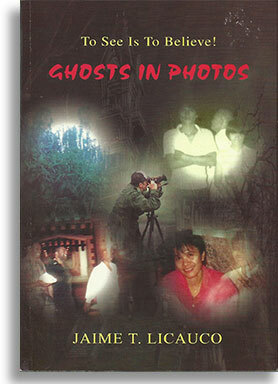 Questions about ghosts are answered in this highly informative book by Jaime T. Licauco, the Philippines’ foremost authority on paranormal phenomena, Philippine mysticism and mind power. And that’s only for starters. 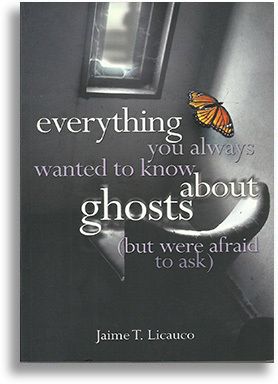 The second part of this book contains actual incredible stories of people who have had close encounters or personal contacts with spirits of the dead and other creatures. It is easy to dismiss psychic surgery as just some clever trick. Because it defies currently accepted laws of physics, biology and scientific logic, psychic surgery must involve some kind of magic. One cannot go about opening up the skin with bare hands, taking out tissues from the inside the body, spilling blood all over and closing wounds with hardly any trace of the operation. Such things cannot happen. Yet they obviously do. Ancient wisdom originally believed that the body, mind, and spirit were interconnected. Today, more than ever, modern medical experts consider this ancient wisdom as a gospel. A new era of consciousness is slowly but surely emerging. This is no longer the new age of thinking but a new age of believing and becoming—where your body, mind, and spirit converge to become a renewed and ageless you. 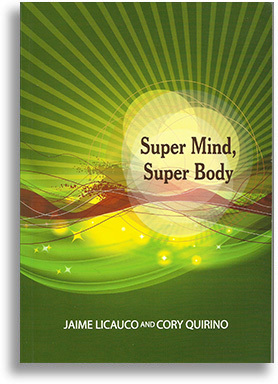 This book explores the ways one can have a Super Mind, Super Body. Long-time friends Jimmy Licauco and Cory Quirino combined their individual expertise into one concise book that may very well become the ultimate guide for living well and looking good.